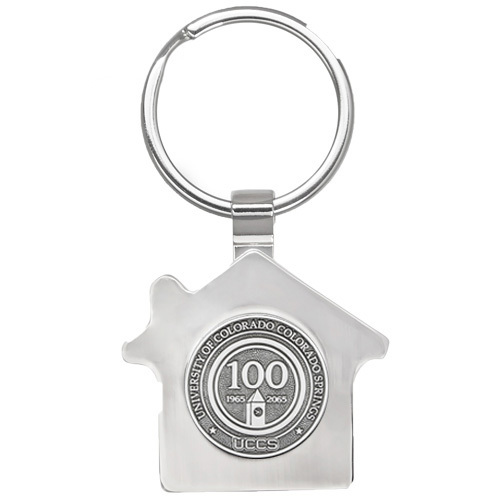 Silver Plated, Ring Style Metal Keychain With Round Medallion. Perfect to showcase any home builder or real estate firm. Stamped Round Medallion: 0.75" Dia.